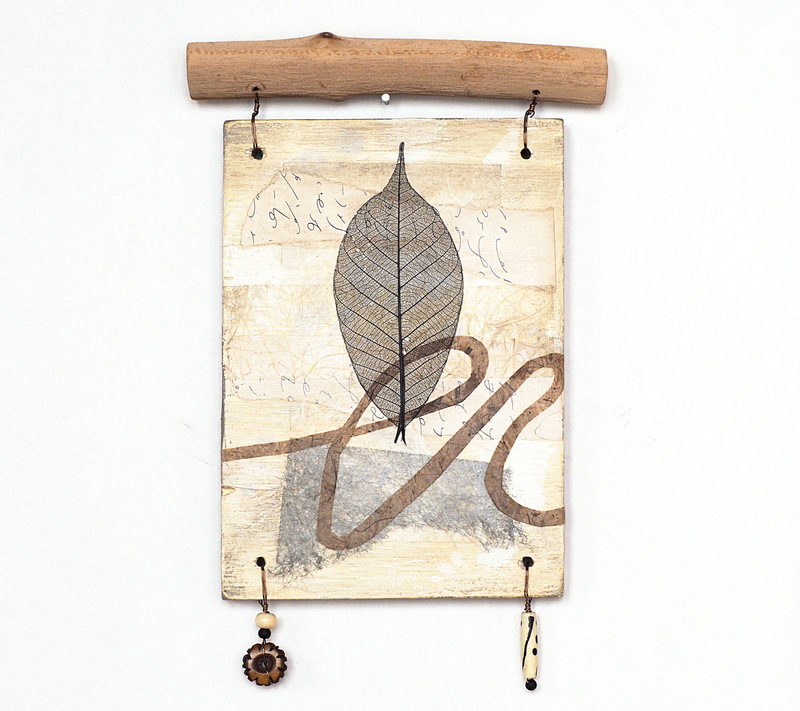 Mixed media abstract collage wall hanging incorporating reclaimed plywood, wire, beads and a found branch. 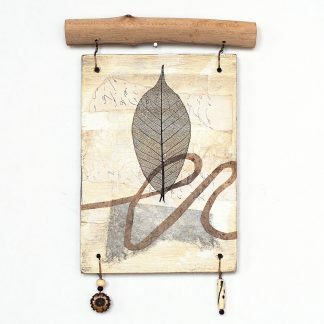 Neutral colors with a black leaf. Antique brass finish wire. Bone and glass beads. Total height is 9 3/4″, total width is 6″. 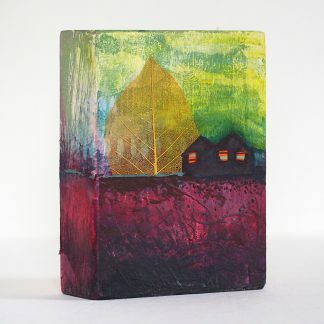 The plywood panel is 7″ high x 5″ wide.